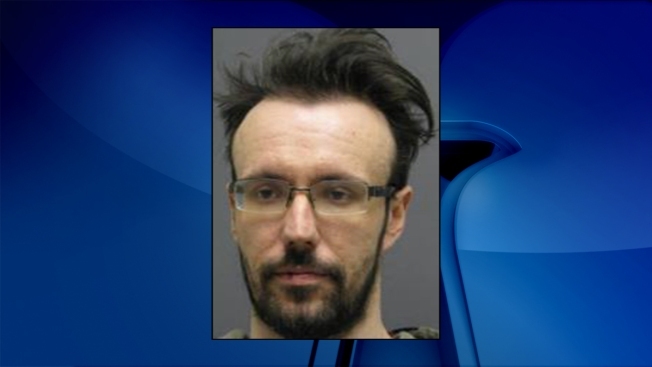 A man was arrested Sunday after attempting to break into a police officer's house and then assaulting a police K-9 in Manassas. The homeowner -- an off-duty Prince William County officer -- answered his door around 11:20 p.m. Sunday night to find a man he didn't know, later identified by police as 30-year-old Ramond Joseph of Manassas. The man attempted to get inside by pushing past the officer, but tried to leave after police were called. One of the responding officers found Jospeph and tried to detain him, and a struggle ensued. Prince William County Police said Joseph assaulted the responding officer, and when the homeowner and his K-9 partner ran to help, Joseph allegedly grabbed the dog by the neck and held it to the ground. Police say Joseph eventually complied and was arrested. The responding officer was taken to an area hospital for treatment of minor injuries. The K-9 was not injured. Joseph is charged with assault and battery on a law enforcement officer, assault and battery on a police K-9, burglary, obstruction of justice and disorderly conduct. He is being held without bond.